‘Saamy Square’ is been viewed with much an excitement by Kollywood. The movie has got the mega combo of Hari – Vikram back to big screen. We have already received sneak peeks to Vikram’s looks in the movie; it was celebrated by the fans. With Kollywood eager to know more about the project, director Hari has come up with some exciting information. 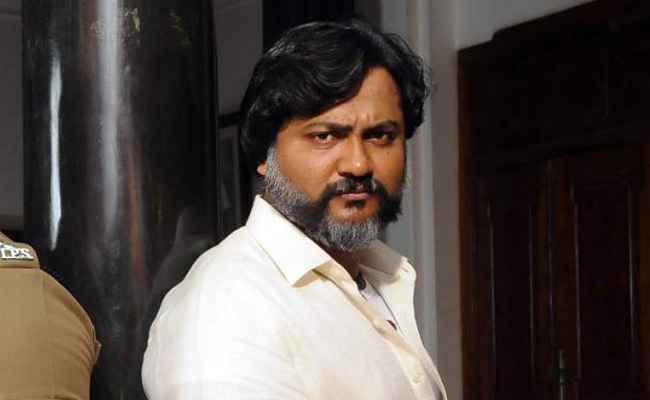 While commenting on his project, Hari maintained that Bobby Simha has got a large pie in ‘Saamy Square’. When inquired, the director divulged that Bobby has got as many as three different get ups for this Vikram starrer. Here are some interesting features of Bobby’s role in the movie. Hari maintained that Bobby’s character name in ‘Saamy Square’ is Ravanapichai. Adding that the actor would be appearing in different ages – starting from his 20s, Hari maintained that Bobby had spent some six months to achieve his looks for ‘Saamy Square’. Interestingly, Hari shared an information that they had zeroed in only on two get ups of Bobby. On the other hand, the makers are still on the works of the third look of Bobby in the movie. He made it clear that though the character has got grey shades, he is not the villain in ‘Saamy Square’. He maintained that Bobby’s role in ‘Saamy’ is a frightening character, but not someone, who goes up against the hero and gets beaten up. Director made it clear that Bobby was the first choice for the role in ‘Saamy Square’. It was Bobby’s role in the bilingual project ‘Neram’, which impressed Hari. Since then, Hari has reportedly not looked for another actor for the role of Ravanapichai. Calling Bobby a dedicated artist, Hari was of the opinion that the actor would go to any extend for perfection of his roles. Hearing all these, movie buffs are surely expecting something huge from this sequel to ‘Saamy’. Can this movie emulate the success of its prequel? Fans badly wanted ‘Saamy Square’ to be a better product than ‘Saamy’. ‘Bharat Ane Nenu’: Look what NTR said about Mahesh..! Akshara Haasan to romance Chiyaan Vikram…!